Style Fashion Week, the Official Fashion Week of Los Angeles, welcomed over 20,000 guests, attendees, celebrities, buyers, press, and fashion industry leaders to join us at our new Fashion Week home at the architectural marvel, The Pacific Design Center. The award-winning Pacific Design Center Plaza, located in the heart of West Hollywood, was transformed into a fashion spectacular with an innovative runway and magnificent Californian backdrop. 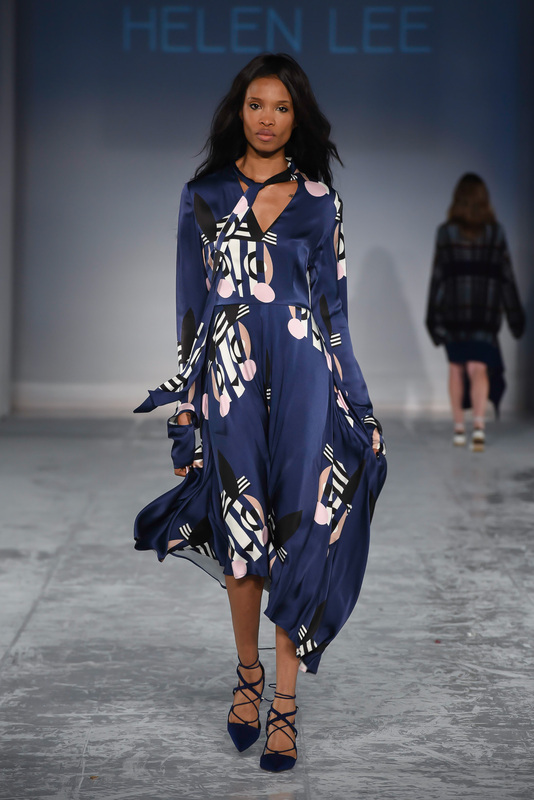 Ranked among the most beautiful and influential productions in New York and Los Angeles, Style Fashion Week once again outperforms itself as an international platform for emerging and established artists. With international press, media, stylists, buyers and designers from around the world, Style Fashion Week is Los Angeles’s most desirable fashion event to attend each season. Celebrities such as Natalie Zea, Janice Dickinson, Johnny Wujek, Naima Morn, Brandi Glanville and Carlton from The Real Housewives of Beverly Hills were in attendance. The week opened with an exclusive model party at Villa Lounge in West Hollywood. Amongst the many models that attended, there were also celebrities such as Leonardo DiCaprio who came out to join Style Fashion Week. Following this, Style Fashion Week welcomed all of their guests to The Abbey for an opening reception to kick off shows. Daniel Bohbot opened the week with his Hale Bob Fall/Winter ‘16 collection. Bringing all things fringe and prints, Hale Bob brought “Pre-Coachella” to the runway. Following was Vietnamese designer, Quyhn Paris with her impeccable designs full of texture, 3D materials and gorgeous gowns that progressed into short, modern dresses. Franco Montoro followed bringing neutrals, cut outs and sheer sections to the runway. 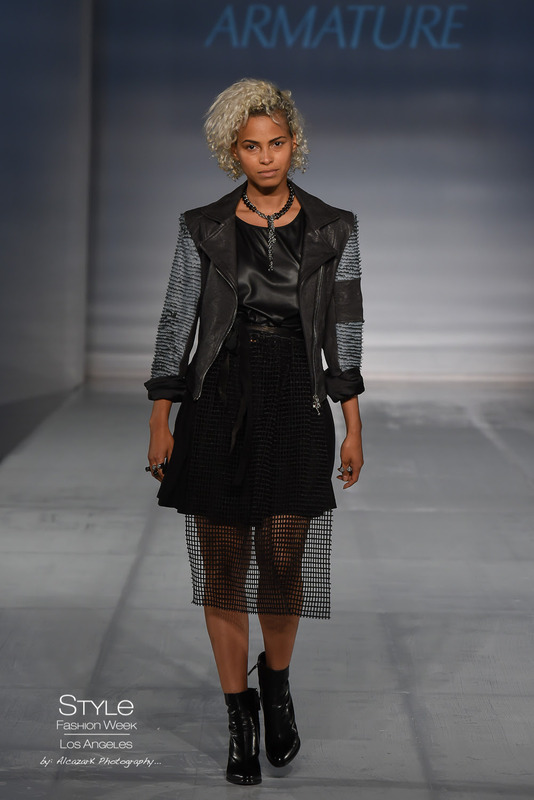 Opening the second day of shows was the Los Angeles trinity of designers, sleek and cool Mario De La Torre, rock-and-roll glam Armature and the high-end, ready-to-wear Foxbait. Bringing heat and confidence, swimwear collections The 8th Continent and Ca-RIO-Ca took the runway. Closing out the evening Farah Angsana showed her “Dark Angels” collection. Inspired by her recent tragic love story, she sent warrior-like models down the runway in her sensual designs. Opening the final day, TBS premiered their new comedic series The Detour. Guests watched the pilot episode and stars of the show took the red carpet. Later, star Natalie Zea walked the runway of I am Zoe, bringing a mix of fashion and entertainment to Style Fashion Week. 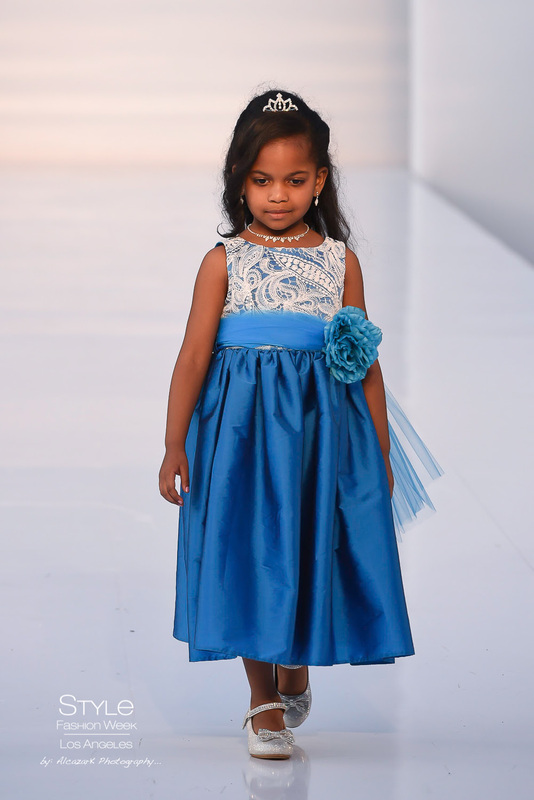 Bringing equal parts youth and glamour, Linda Gail, Fuschia Couture and Coral Castillo were the next brands to take the runway. Rounding out the evening, there were designers Nancy Vuu with her luxury childrenswear, I am Zoe with her light, feminine collection. X Factor’s Mali Nicole and Central Ave took the runway with their music meets fashion performance. 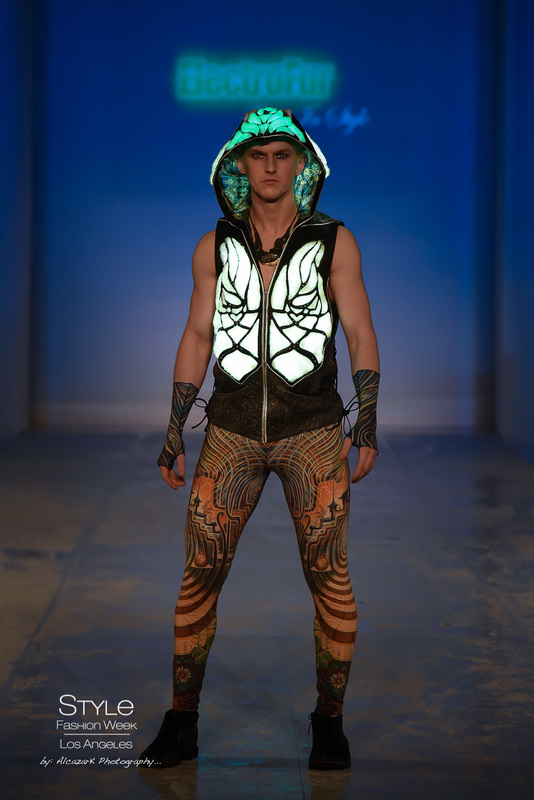 Electrofur brought a Burning Man experience to the runway as it entertained the crowd with their performers and illuminated fur. Finally, concluding the evening, top Chinese designer Helen Lee brought sophisticated urban Shanghai to the Los Angeles runway. Style Fashion Week is thankful to our expert team and boundless support including: The Pacific Design Center, Jim Faulk Lexus, St. Petersburg Vodka, Elation Lighting, Cosmo Sound and Lighting, BubbleFish Media, Brigade LA, The City of West Hollywood, West Hollywood Chamber of Commerce, The City of Los Angeles, International Chamber of Design, The Morgan Stanley C2G Group, Seed Mobile, Aquafina Water, Related Garments, The Abbey, Kitchen 24, Villa Lounge, TBS and International Press Corps.